The Rebel Sweetheart. 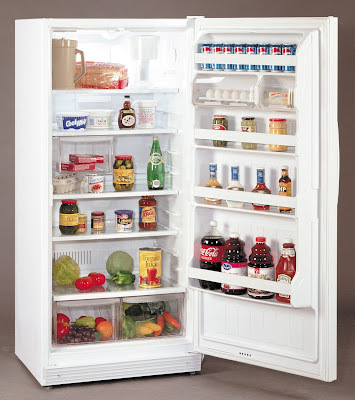 : Keeping it Clean with Electrolux Refrigerator Filters. Keeping it Clean with Electrolux Refrigerator Filters. When was the last time you replaced the filters in your fridge? If you haven't touched any of the filters since the time you bought your fridge, you may want to consider doing so now. As a rule, both the water and air filters in your refrigerator should be replaced at least every six months. Not only does this keep your fridge in good working condition, but doing so also safeguards your and your family's health. You see, unfiltered water may contain lead and pesticides which can be hazardous to one's health - most especially that of young children. What's worse is that water pulled through a dirty filter is even dirtier than before it was filtered. The same thing goes for refrigerator air filters. Replacing them regularly makes sure that it does its job of eliminating stench and foul odors from your fridge. Now once you've seen it's time to install new filters, you can simply mouse over to the Electrolux accessories store and purchase Electrolux refrigerator filter online. The store has a selection of air and water filtration systems available for your fridge, and these can be delivered straight to your doorstep within a few days' time. For replacement parts that require technical qualification prior to installation, Electrolux also has parts representatives that will be more than glad to answer queries and assist in ordering parts for your fridge. My fridge has filters? :/ That was my first thought, but of course it does! Had a blond moment...thanks for the excellent post! I am laughing, because my fridge is at least 40 something years old and won't die! I'm just waiting for it to die;) I'm sure it's filled with everything under the sun in those filters...yikes!